The Alma-a comprehensive residential development in Ruaka, Nairobi. Cytonn Investments has signed on a Ksh650 million (US$6.5 million) loan facility with State Bank of Mauritius (SBM Bank Kenya) for its key projects in Kenya. This comes as the firm seeks to bring in long-term debt to complement its private markets funding, such as Cytonn High Yield Solutions (Cytonn HYS), and institutional funding such as funding from Taaleri of Finland. Cytonn is a leading alternative investment management firm with a focus on asset management, real estate and private equity. Cytonn Real Estate, the development affiliate of Cytonn Investments, will direct the loan facility towards completion of The Alma in Ruaka. 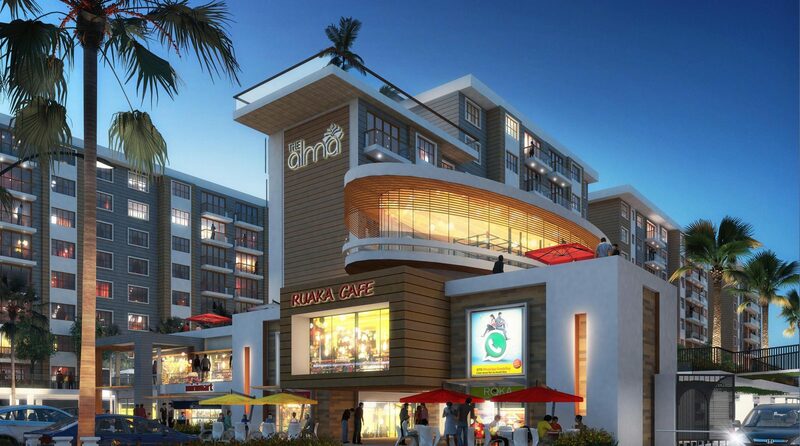 The Alma is a Ksh4.0 billion(US$39.8million) residential mixed-use development in Ruaka Town in Kiambu County. It comprises of 477 residential units and a commercial space that includes a kindergarten. Phase 1 of the project is currently 90 per cent sold. “ This partnership with SBM is not just about Alma, it’s about coming together to contribute towards alleviating the housing needs, and in turn creating jobs, growing the economy and uplifting the standards of living” Dande added. “Projects such as The Alma are a place for skilled Kenyan artisans to put their skills to test, a place for building materials to be used, and an overall collaboration with the demand and supply side. SBM’s role is to support this ecosystem to help the economy achieve its objectives,” Mutoka added. Antti-Jussi Ahveninen, from Taaleri of Finland, Cytonn’s largest institutional investor noted that institutional investors such as Taaleri and SBM not only provide capital, but also bring global best standards to the institutions they work with, and perform high levels of due diligence before investing. 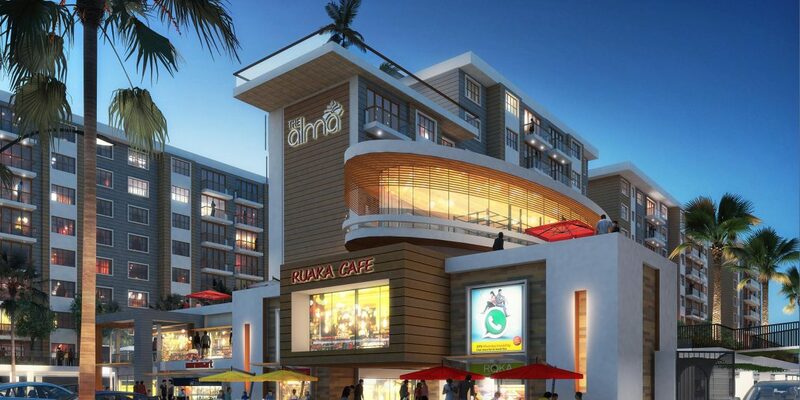 “Alma is a comprehensive development project and the best high-density mixed-use development in Ruaka, which has seen investors get attractive returns, and for home buyers, a high-quality and institutional grade project. Bank funding strongly complements institutional capital, such as funds from Taaleri, and guarantee completion and delivery of real estate projects,” Ahveninen said. Cytonn Investments Management Plc is an independent investment management firm, with offices in Nairobi – Kenya and D.C. Metro – U.S. It primarily focused on offering alternative investment solutions to individual high net-worth investors, global and institutional investors and Kenyans in the diaspora interested in the high-growth East-African region. It currently has over Ksh82.0 billion (US$815.4 million) of investments and projects under its mandate, mainly in real estate.